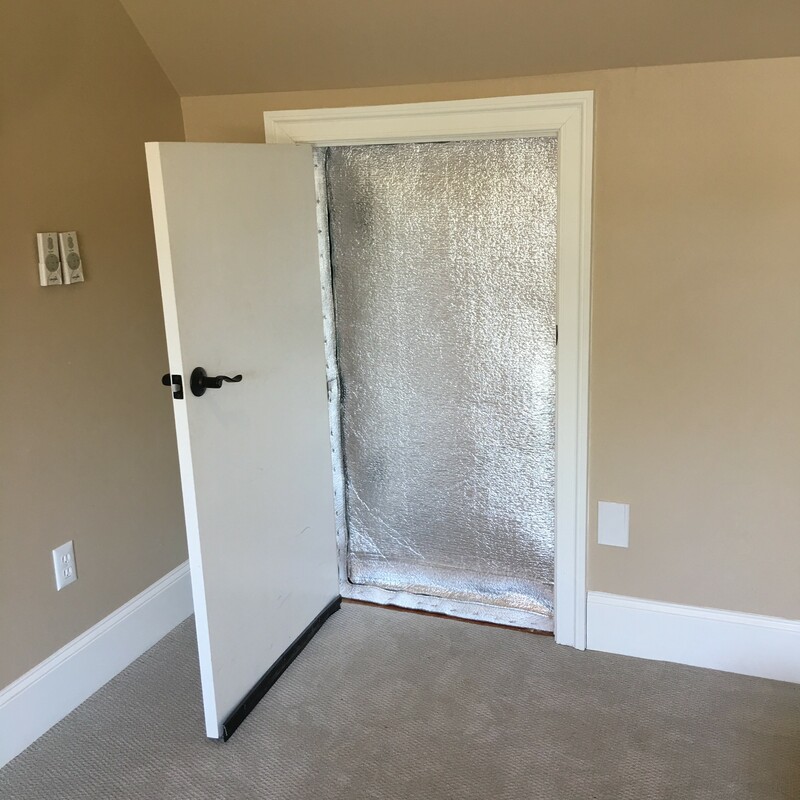 Product Listing | Building Performance Institute, Inc.
Our Patented In-Door RAP has a specially designed baffle material to mitigate sound & light. Perfect Balance is easy to install and can be painted if necessary. Durable with a Lifetime Guarantee. 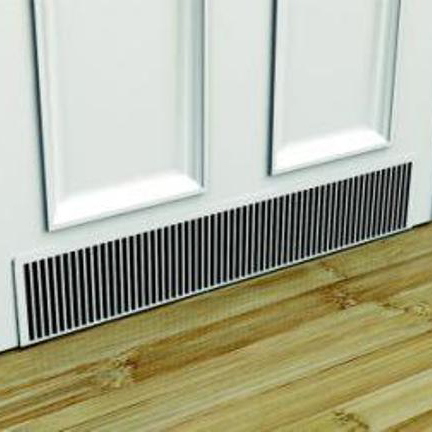 The Return Air Pathway Wall RAP allows the movement of air from one room to the next, equalizes pressure in the home, dampening sound and light transmission. 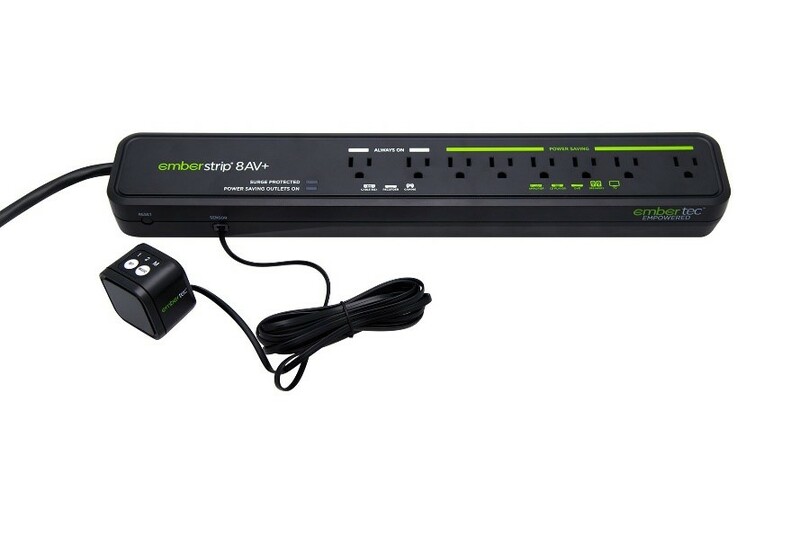 They come in 5 different sizes and are really easy to install. 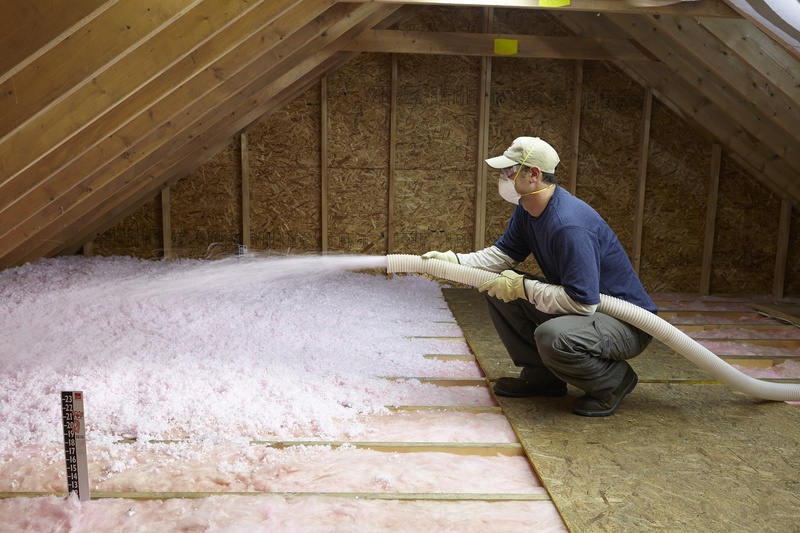 Manufacturer: Southeast Energy Solutions, Inc.
SES Knee Wall Jacket is a reflective foam insulation product that air seals and insulates the knee wall or cubby hole area going into the attic from the conditioned space in the house. The major benefit of this product is having the ability to create up to an R-58 thermal value which will satisfy all climate zone requirements. SES Pulldown Ladder Jacket is a reflective foam insulation product that air seals and insulates the area over the pulldown ladder going into the attic from the conditioned space of the house. The major benefit of this patented product is having the ability to create up to an R-58 thermal value which will satisfy all climate zone requirements. SES Scuttle Hole Cover is a reflective foam insulation product that air seals and insulates the scuttle hole or attic hatch area going into the attic from the conditioned space of the house. The major benefit of this product is having the ability to create up to an R-58 thermal value which will satisfy all climate zone requirements. This performance leader can move 6700 CFM with its ¾ hp motor - perfect for testing homes. The shell is made from extremely lightweight and tough plastic. Adjust the fan speed manually using the control knob or Set to Pressure with the WiFi capable DM32 smart gauge. All systems include free online manufacturer certification. 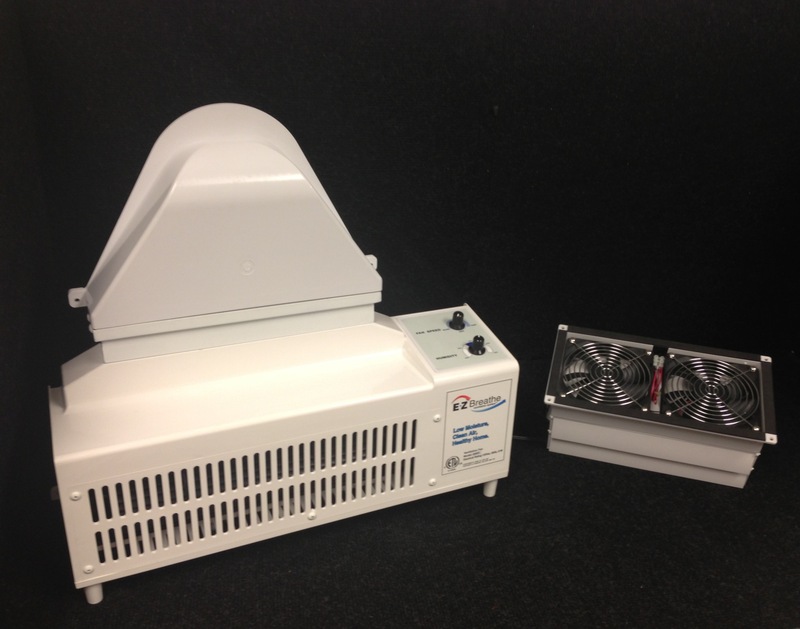 The most powerful fan available making this system ideal for testing very large residential homes. The added power increases the range of test pressures that can be created without changing ranges mid test. 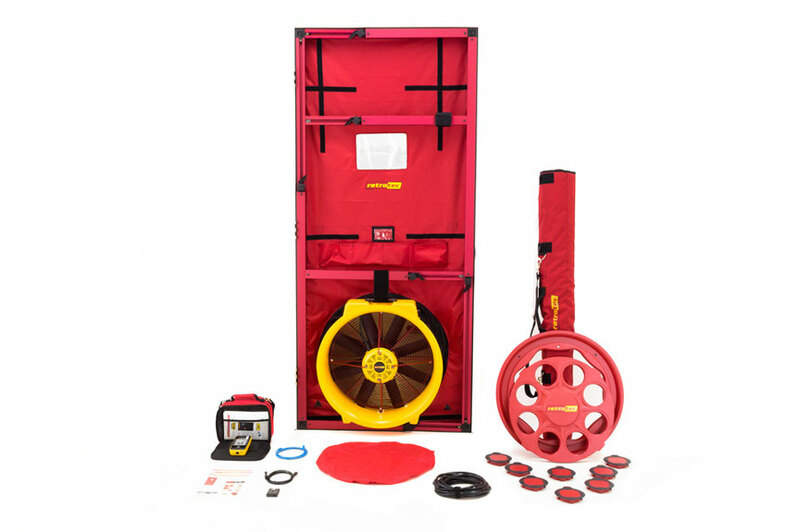 The stability of control reduces the fan’s response to wind and holds the test pressure more constant, making tests faster and more accurate. Provides a continuous overlapping ranges from 10 CFM to 750 CFM. The most accurate and stable flow sensors that can measure down to 0.36 CFM with optional ranges. System includes everything you need to test including free online manufacturer certification. Ten-year warranty on the injection molded shell. The brains of every Retrotec system. 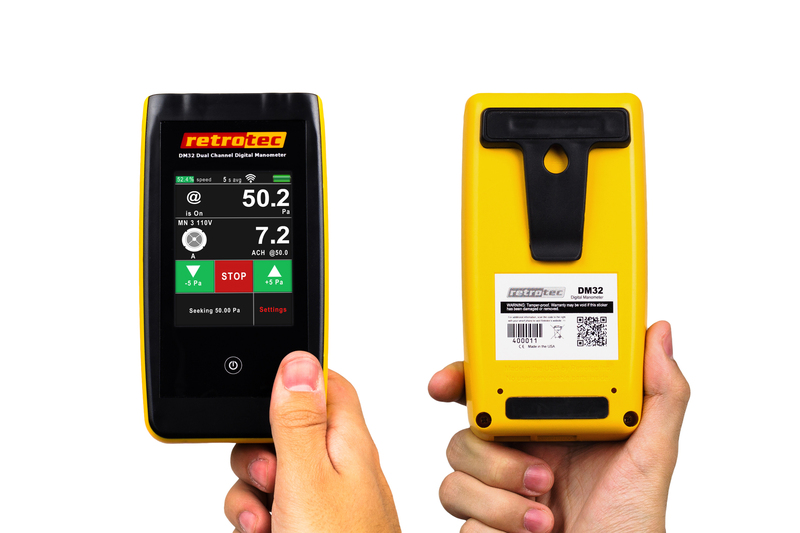 This rechargeable, dual channel color touchscreen manometer comes with WiFi built-in. 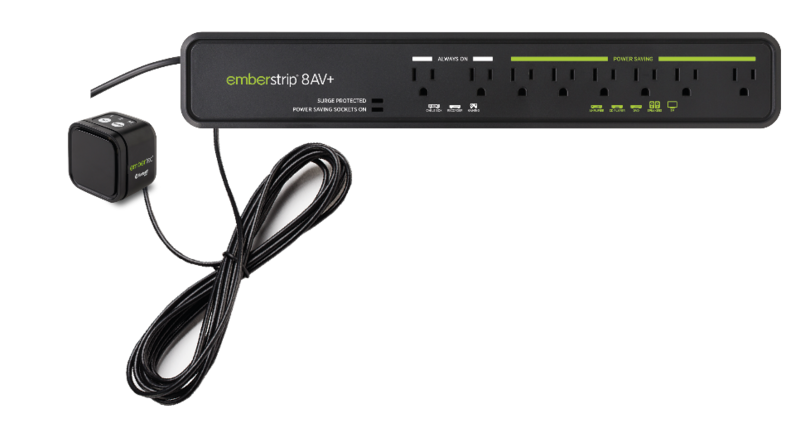 It’s small, lightweight, and exceptionally intuitive to use. No matter what standard you test to-you can easily get results right on the gauge, without a computer. DS3 is a load distributing support which prevents flex ducts from sagging and kinking. 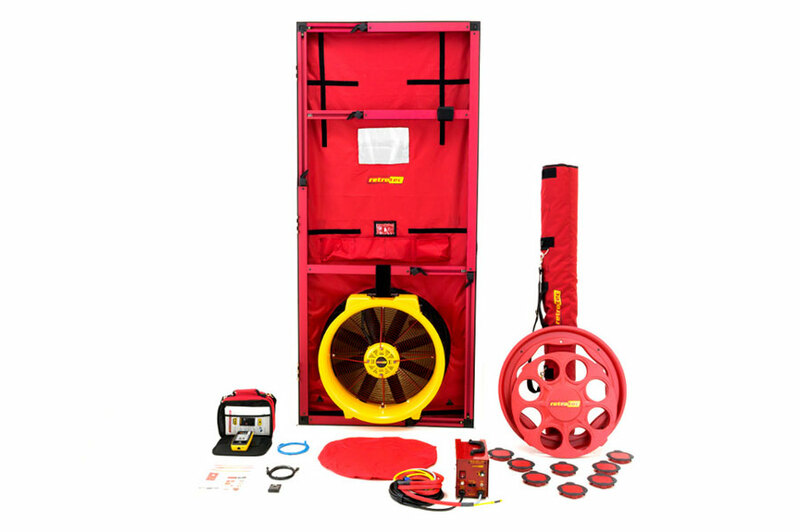 The increased airflow makes the HVAC system more efficient and extends service life by reducing run times and stress on the compressor and blower motor. 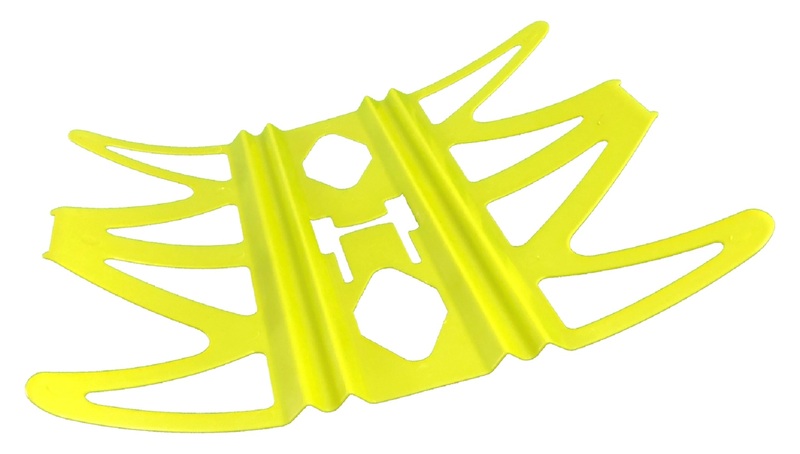 The patented strap channel allows the saddles to be slipped on existing strapping, with no tools required, and without disconnecting them. 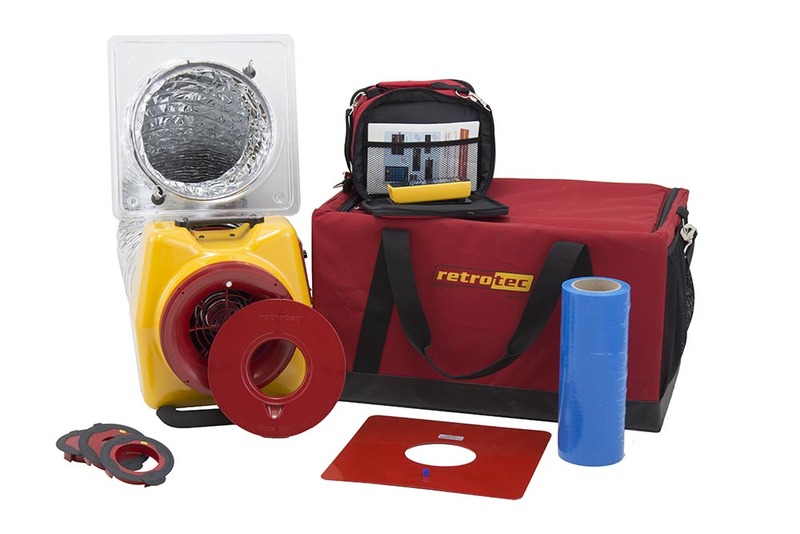 It makes the job of retrofitting your duct system super-fast and easy! This closed cell, moisture-resistant extruded polystyrene rigid foam board has excellent long-term stable insulating performance and durability. It has a wide variety of applications including residential walls, residing projects, foundations and more. 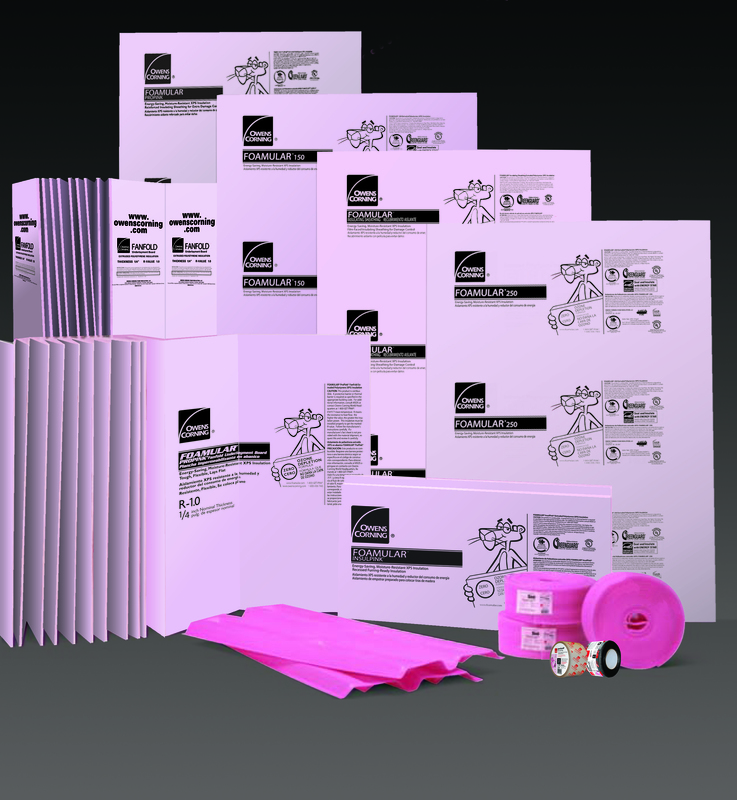 Provides thermal performance of R-5 per inch with a minimum 20% recycled content. 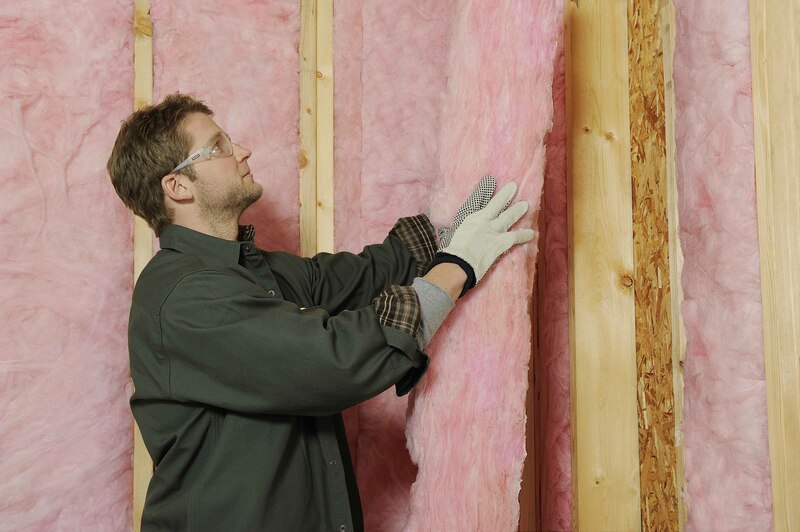 Standards/Protocols ASTM C 578 is the “Standard Specification for Rigid, Cellular Polystyrene Thermal Insulation”. Offers various products in a wide range of thickness and R-values from 11 to 49. 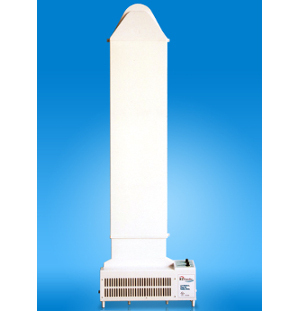 Has excellent dimensional stability, is lightweight and easy to handle and install. Used in wall, roof and ceiling applications for thermal and acoustical properties, is validated formaldehyde free with a minimum 55% recycled content. Standards/Protocols ASTM C665, Std. Specification for Mineral Fiber Blanket Thermal Insulation. This unbonded fiberglass insulation is intended for use in wall, roof and ceiling assemblies of residential and light commercial buildings. Can provide thermal performance of more than R-60 in “open cavity” applications, R-16 in 2X4 and R-24 in 2X6 closed cavities. Validated formaldehyde free with a minimum 55% recycled content. 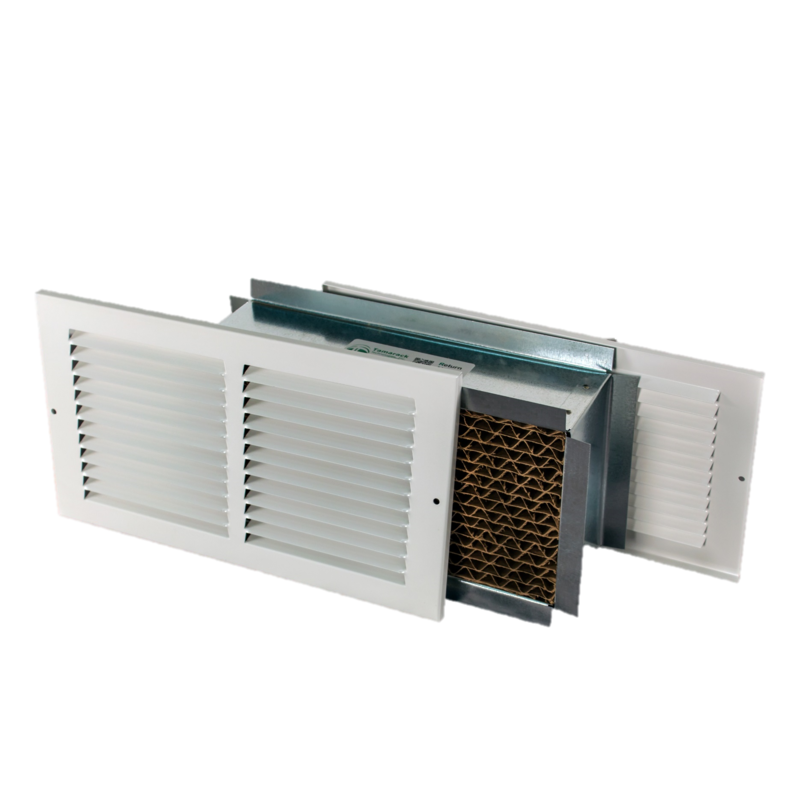 The EZ Breathe A400 Ventilation System installed in the basement provides complete home air exchanges resulting in improved indoor air quality (IAQ), reduced indoor humidity and lower allergen and pollutant levels. Energy efficient at only $2-$4/month to operate and maintenance free, EZ Breathe is the solution for better whole house IAQ. The EZ Breathe Crawlspace Conditioner, (CSC) satisfies EPA’s requirements for mechanical exhaust ventilation and conditioned-air supply to crawlspaces. Resulting in whole home air exchanges, improved indoor air quality (IAQ), energy efficient at only $2-$4/month to operate and maintenance free, EZ Breathe CSC is the solution for better whole house IAQ. 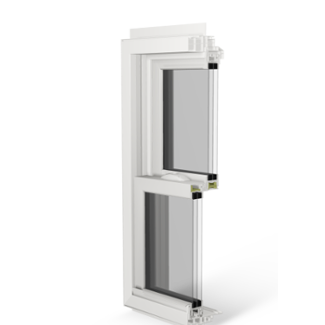 EOS+/Icon Double Hung Windows were designed to meet the criteria for Energy Star 6.0 as well as its “Most Efficient Window” designation by outperforming standard Energy Star requirements. The Energy Optimized System is available in New Construction and Replacement configurations with U-Factors as low as .17 and Air Infiltration of .04 cfm/ft 2. Looking to List a Product?